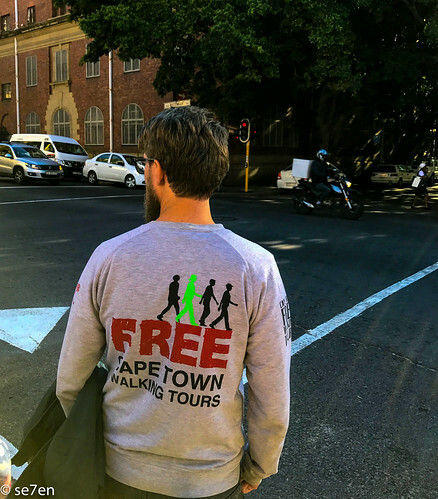 Se7en Join Free Walking Tours with City SightSeeing in the Center of Cape Town…. 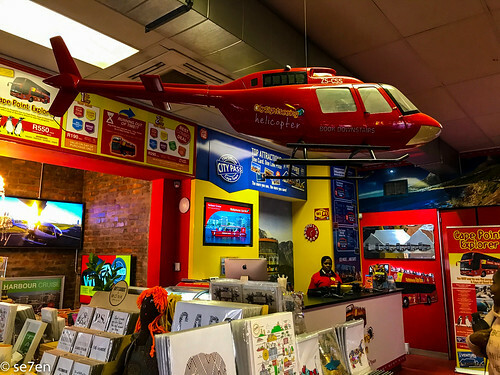 On our recent vacation, when we decided to take being tourists in our own town to heart and to embrace all that the City of Cape Town has to offer, we decided to spend a day exploring the City with the free City Sightseeing Walking Tours. 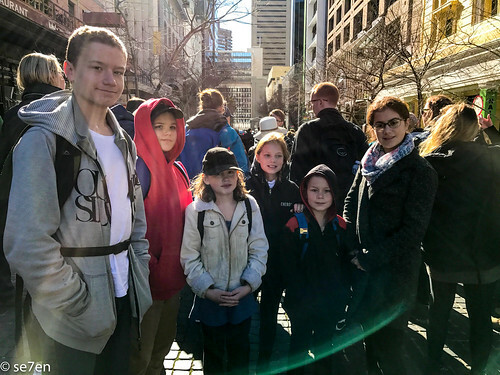 It was a great decision… we had glorious weather in the middle of winter and a fantastic day out learning all sorts of facts and tweaks of history that we could never have learnt about anywhere else. The tours are fabulous. Each tour last ninety minutes, they are ambles at the pace of the slowest walker, so kids are quite easily able to keep up and you don’t actually walk too far. 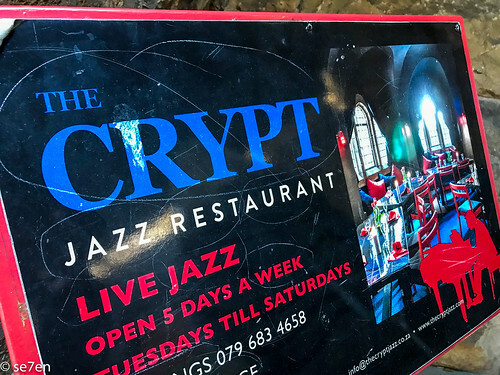 Just around the city centre, looking at landmarks and places of interest and hearing all the back stories, and visiting places we haven’t ever heard of. You can find all the details on the City Sightseeing Website here. Also, while the tours are free, the tour guides are paid via your tips, its only fair. We arrived early in the morning, well early by Cape Town standards, we wanted to be able to do all three tours in a day. this is totally possibly there is an hour or two break between tours, so you can have a break or a snack… or just chillax and people watch. 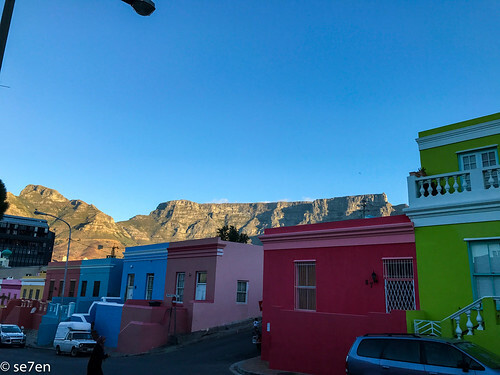 And said we would like to join the walking tours for the day… we were advised to take the History Tour, the Slavery Tour and finally the Bo-Kaap Tour. 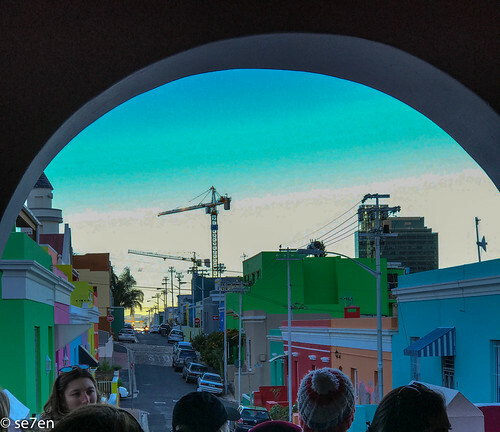 I am so glad we went in that order… firstly we needed a general history overview to start with and you definitely need to do the colourful Bo-Kaap tour at the end of the day, to capture all the spectacular colours during the golden hour. 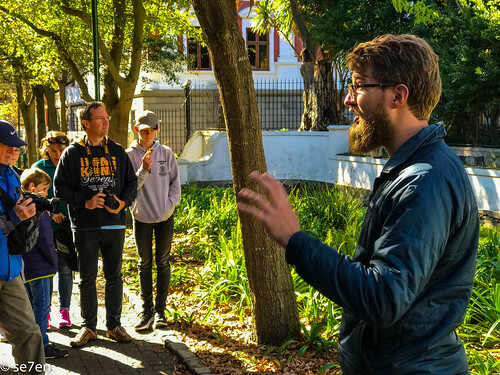 The historical tour takes you on a journey through the city of Cape Town’s main landmarks. Your guide will share with you a little about life before the settlers. This is followed by the story of how the Dutch came to settle in the Cape and then how the English came to settle here as well. Not to mention how we ended up with not one, not two, but three capital cities: Cape town – Legislature, Pretoria – Administrative, and Bloemfontein – Judicial. Lots of interesting snippets were added as we wandered along. 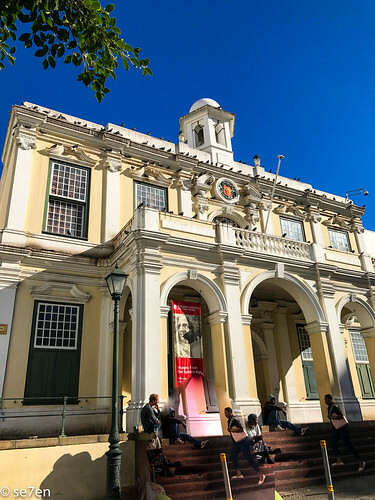 After looking at the Parade and the City Hall, a quick walk past Cape Town’s Castle, which was built in 1666, is the oldest building in South Africa. Onto this interesting monument outside the Social History Centre. Way back then when slavery was illegal in Holland, 80% of the Cape population were slaves, working for the Dutch East India Company. 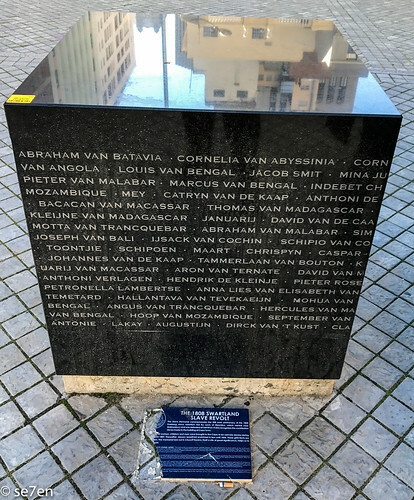 On it are lists of slaves at the Cape and their names… If your name mentions a day of the week or a month of the year, then that would have been your arrival day and month, if your name has “van” in it, then it means “from.” Today people with slaves in their ancestry have a proud cultural heritage and it if you suspect that you are a descendent of slaves then you can visit the Social History Centre and they will help you to trace your roots. The City Hall was built by the British, in 1806 and around this time the Dutch travelled north in ox-wagon. 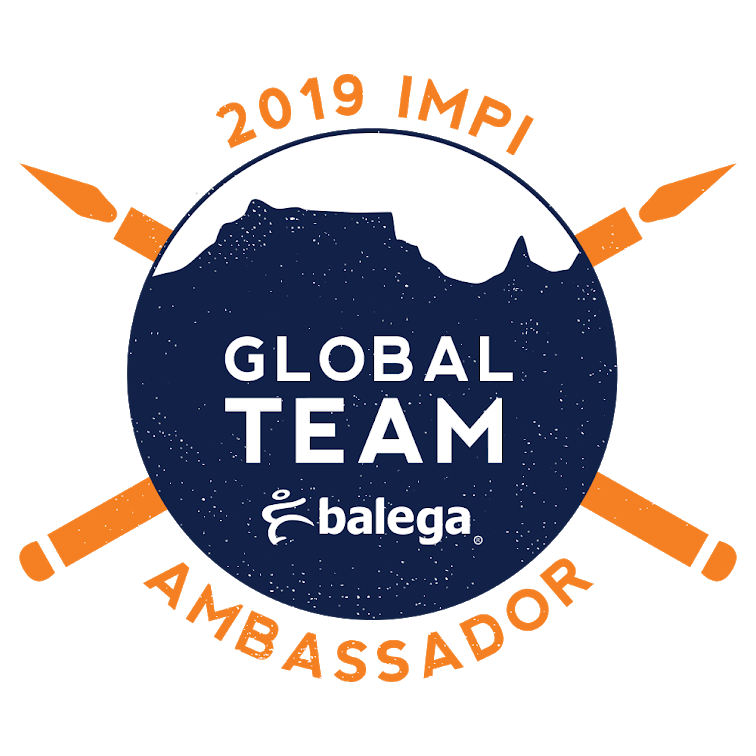 This migration was called the Great Trek and was the start of the Afrikaner nation. Then gold was discovered and that of course led to fighting and the Boer War was fought over a number of years, finally ending in 1810, when a new country, the Union of South Africa, was born. And then there is Tuinhuis, with the Company Gardens alongside, which were eight times bigger than the original Castle Gardens. 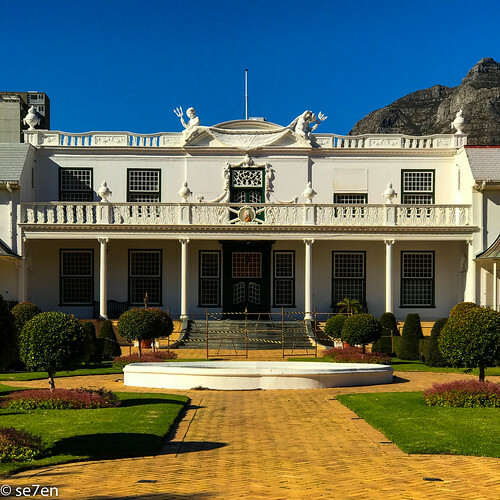 This is a mixture of Cape Dutch and later the British added a banqueting hall and a ballroom. 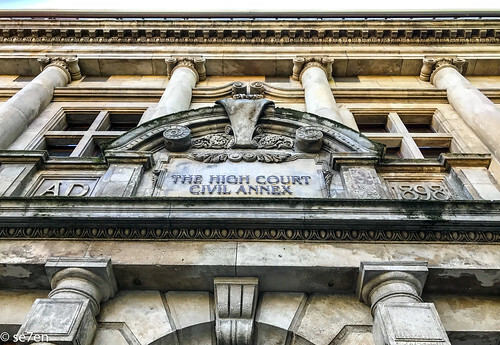 Interestingly enough… the first company logo ever, for the Dutch East India Company, is higher on the building than King William of Orange. It was indeed all about the Company, in fact we took a wander through the Company Gardens, not the King’s Gardens… which is a place that is very pleasant and lovely to explore to this day. 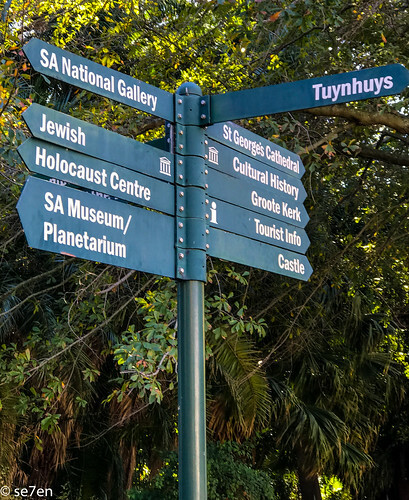 It is the centre of Museums in Cape Town, the Natural History Museum, the Planetarium, the Holocaust Museum and the Art Gallery among others. 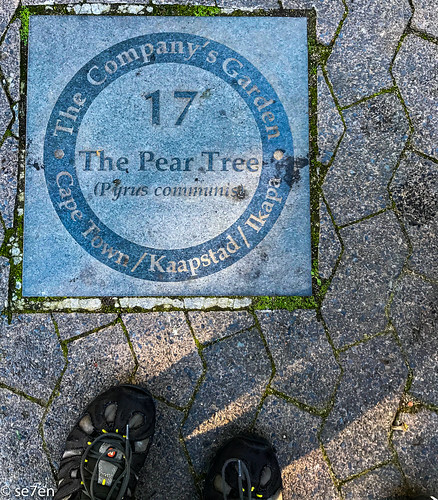 OF course we had to stop by the oldest known “domestic” tree… The Saffron Pear Tree planted at the time of the first settlers, so between 300 and 360 years old, and it still bears fruit every single year. Back to the start of the tour at Green Market Square. 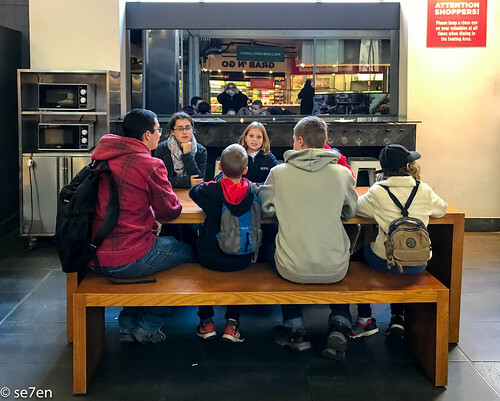 We took a mini-break, shopping for a picnic in the city… firmly believe in eat where the locals eat, this is a budget day out and anytime you look like a tourist you are going to pay tourist prices. 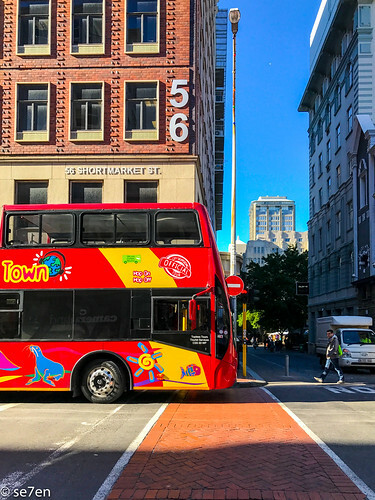 Refreshed and back to the City Sightseeing Office on Shortmarket Street in time for the next sight seeing tour of the day. 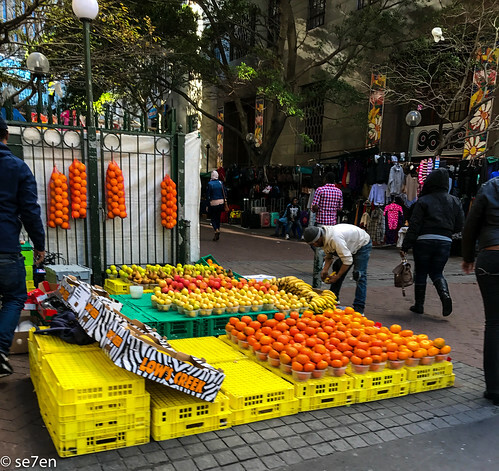 At their offices there is heaps of information about every possible tourism activity in the Cape Town and beyond, you can buy refreshments and most important of all there are charging stations galore. 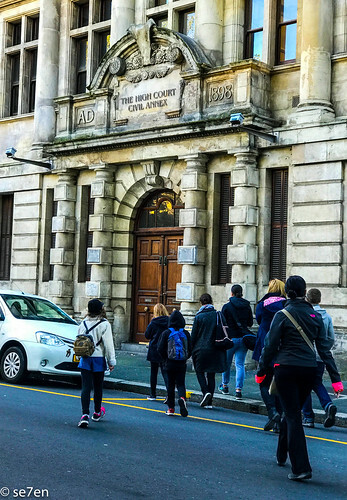 The next tour we took is called the District Six Walk, that focuses on the Apartheid error. It begins on Green Market Square and begins with the Purple Rain Protest, that I remember vividly from the olden days (1989), ten years before my kids were born. This was an anti-apartheid protest that took place on the steps of the Old Town Hall. 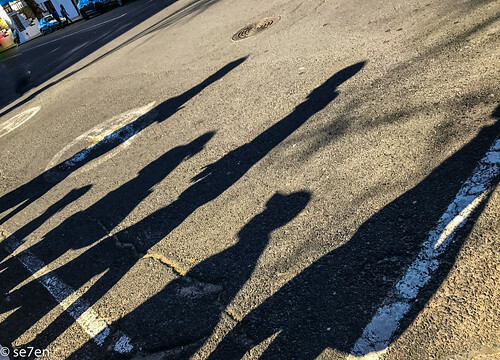 The picture our guide painted was a vivid one… and it was the first time that my children realised how protest against apartheid was real movement within South Africa. They have heard about it and learnt about it, but because apartheid was the law, it always feels as if nothing could be done about it. It was good for my kids to become part of that protest, if only while they were on tour. 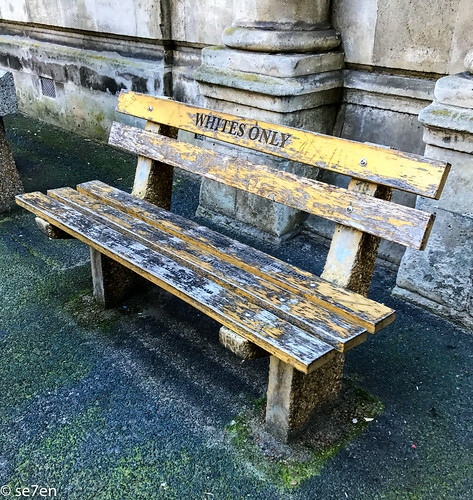 While inequality existed throughout history, it was apartheid that made it law. And it was in this court where it was decided what race you were and therefore where you could and couldn’t live. People were forcibly moved out of their neighbourhoods and into homelands or townships. 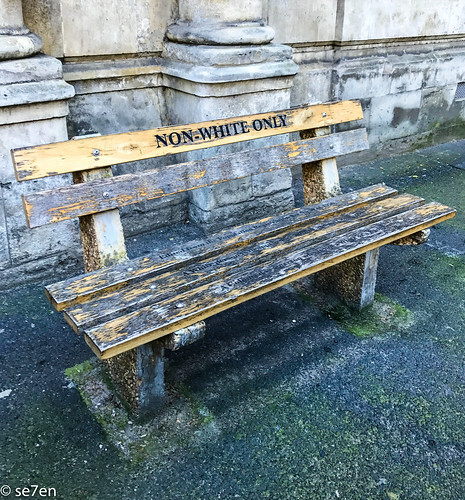 For a white person to sit on a non-white bench meant disagreement with the government and immediate arrest. If you wanted to travel from area to area and i.d. document was required. So many years after apartheid has ended and things are changing, but very slowly. There is not enough available money for a quick fix, and South Africans have had to do repairs one slow step at a time. 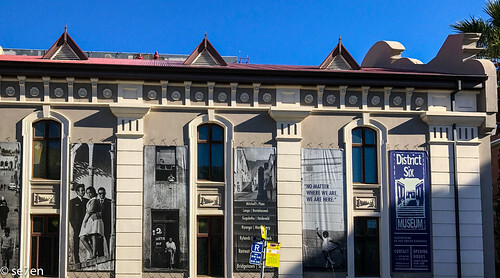 And a walk past the District Six Museum, which if you haven’t visited and you want your children to learn about South African history… that would be a great place to stop by. In fact, if you want to teach your children about the Apartheid era, then this is the tour to go on. It is enlightening, level headed… opinions from both sides of the law and a fascinating look at the behind the scenes story. 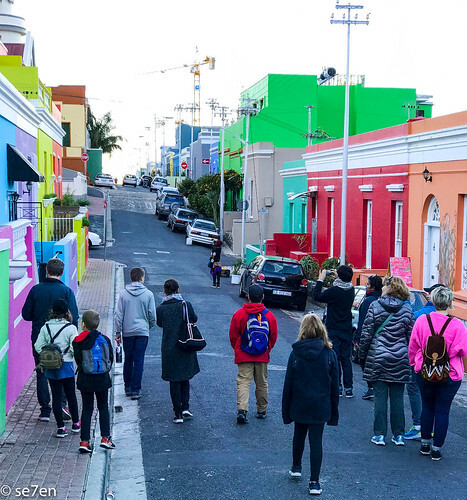 Our final tour of the day was our favourite… a wander through the colourful Bo-Kaap… at the end of the day it was great to wander up and out of the city centre and enjoy the colours and view of Table Mountain at dusk. This area of the city, was originally on the outskirts of the city and was where the slave community was housed. It was also called the Malay quarter with slaves from Madagascar, Mozambique, Malaysia and Indonesia. While the slaves were from very diverse cultures and into the same close knit area, but they had one common enemy and that was the free people. 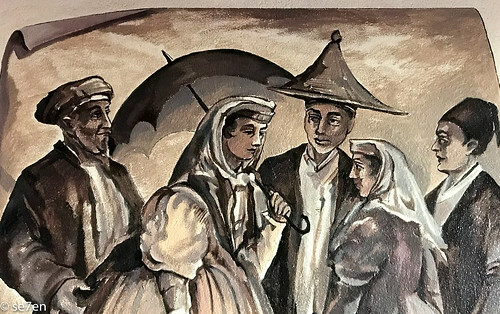 This tour doesn’t just tell you about history, it also tells you about where to get the best Bobotie in town, which is our national dish. 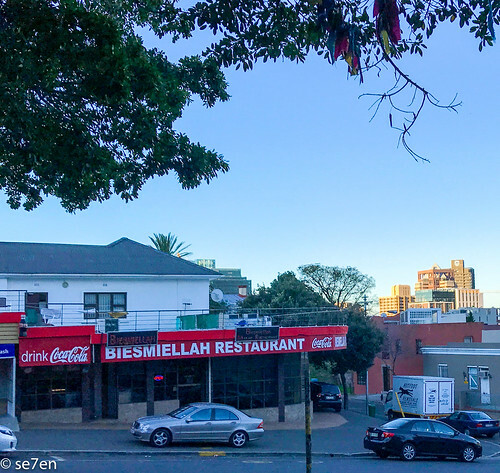 They also sell koeksisters of both varieties… round with a covering of coconut, or the plaited variety dipped in syrup. About six thousand people live in this small community, that gets smaller each day. 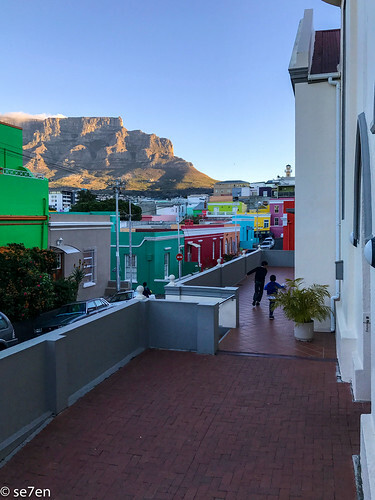 When slaves were freed they were given their houses and with the advent of the New South Africa, so dawned the age of the Rainbow Nation, not to mention the vibrant and colourful Bo-Kaap. Folk that live their now can’t afford to move out, their property is worth so much, so much so that they first born usually moves into the top floor, to keep the home in the family. 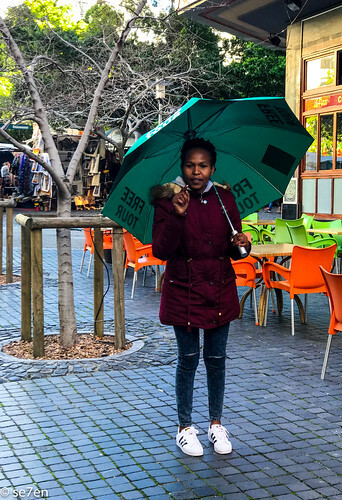 All in all it was a great day out and a fabulous way to get an overview of South African history in the City of Cape Town. As usual the City SightSeeing Staff were fabulous and made our day out an unforgettable day for us. How wonderful to be a tourist in your own town! So much to see and learn! 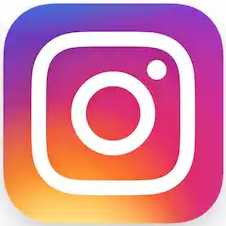 Hay Christi, I have so many lovely posts to post from our holiday time… taking it slowly, eeking out the inspiration to visit!!! You never know you may one day find yourself in Cape Town and you will know exactly where to go and what to do!!! Have a fabulous week!!! Waving hello MrsFF, they must have walking tours in Johannesburg… I would definitely look out for them… that would be my first stop on visiting any city from now on. 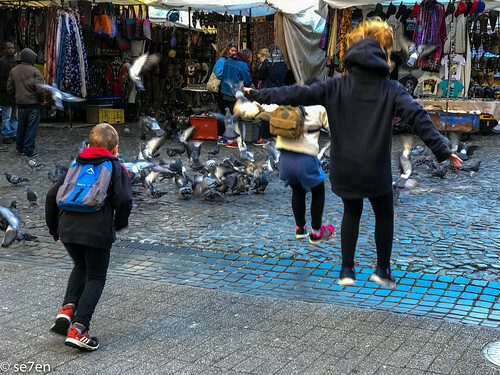 It might be a fun thing to do with a couple of friends… it is amazing just how much we learnt about our own city!!! Have a great week!!! Cape Town used to be home for almost 10 years. Its been 2 years since I left and I will visit again. 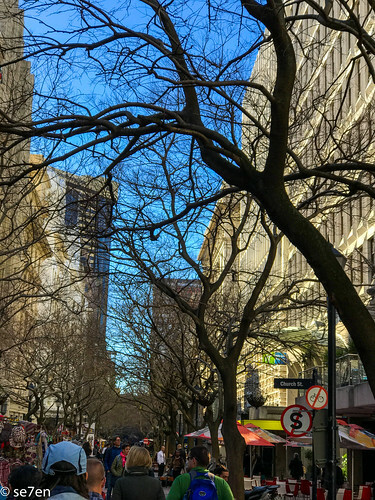 Its a beautiful city with so much to do. Thanks so much for stopping by Josephine, always lovely to here about folk reading on the far side of the world!! !